Comfort Climate Service is a locally owned and operated business with over 12 years experience in the service industry. As a Heating Air Conditioning Contractor, we specialize in providing heating and cooling services and new replacement equipment installation for homes, churches and businesses at affordable prices. Comfort Climate Service is a licensed Refrigeration Contractor and provides commercial refrigeration services to restaurants, grocery and convenience stores. We offer both standard time as well as emergency off-hour service. Ask us about our maintenance contracts. 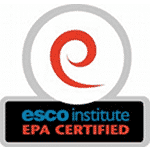 All Comfort Climate Service technicians are fully trained and EPA, as well as NATE certified. Our practices are environmentally responsible and ‘Green Friendly’. We service all brands and models of residential and light commercial heating and air conditioning systems. Light commercial includes up to 10 ton equipment. If you find yourself in a critical situation after normal business hours, we offer 24 Hour Emergency Service. Should you find it’s time to replace your existing unit, many more energy efficient options are now available. You can rely on us to help educate you on your options. Comfort Climate Service greatly values customer satisfaction. Our quality standards set us apart from other HVAC contractors. Unlike most companies, we offer a 1 Year Labor Warranty on all services performed. Also, be sure to ask us about our Senior Citizen Discount. For detailed information on our HVAC or Refrigeration services or to schedule a free installation quote, call Comfort Climate Service at 251.610.2848. We provide quality service at competitive prices. Connect with us on Facebook, Twitter, Pinterest or Google+ or check out the Comfort Climate Service Blog for HVAC tips and updates.